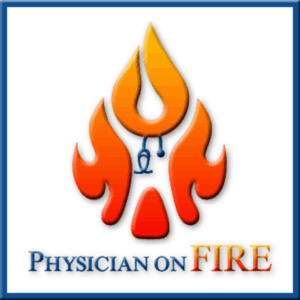 Welcome Physician on Fire Customers! Physician on Fire is partnering with Education Loan Finance to help you refinance federal and private education loans to lower your monthly payments or total student loan costs. Plus, you could earn a $325 Bonus** when you close your loan. ** To begin the qualification process for the Physician on Fire sign on bonus, customers must apply from the link provided on www.elfi.com/physician-on-fire. Customers who approved for and close a loan will receive the $325 bonus through a reduction in the principal balance of their Education Loan Finance loan when the loan has been disbursed. In order to receive this bonus, customers will be required to complete and submit a W9 form with all required documents. Taxes are the sole responsibility of the recipient. Customers will only be eligible to receive this bonus one time. New applicants are eligible for only one bonus. If the new applicant was referred using the referral bonus, they will not receive the bonus provided via the referring party. If the new applicant becomes an ELFI customer, they may participate in the referral bonus by becoming the referring party. Additional terms and conditions apply. Below are sample payments for a $25,000 loan using each of Education Loan Finance’s student loan refinance options. The interest rate and monthly payment for variable rate loans may increase after closing. Your actual interest rate may be different than the rates in these examples and will be based on the term of the loan, your financial history, and other factors, including your cosigner’s (if any) financial history. To qualify for refinancing or student loans consolidation through Education Loan Finance, you must have at least $15,000 in student loan debt and must have earned a bachelor’s degree or higher from an approved post-secondary Education Loan Finance institution. All rates are subject to change without notice. All loans are subject to credit approval. Additional terms and conditions apply. Why Choose Education Loan Finance? With a lower rate or a longer term Rates as low as 2.8% APR variable* or 3.39% APR fixed and terms from 5 to 20 years. You could save hundreds each month and thousands over time. With a lower rate or shorter term Reduce the total interest you’ll pay. We also have no application fees, origination fees, or prepayment penalties. Flexible options for your needs Loan amounts from $15,000 and up*. Consolidate multiple loans (federal and private) into one easy monthly payment. Reach out via phone, email, or contact form. Please describe your interest in refinancing your education loans with Education Loan Finance. Make the right financial choice by refinancing your student loans with Education Loan Finance. You’ll like having choices when it comes to managing your education loans.